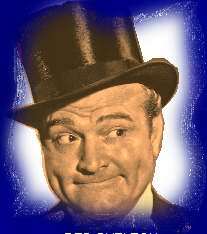 The following words were spoken by the late Red Skelton on his television program, January 14, 1969, as he related the story of his teacher, Mr. Laswell, who felt his students had come to think of the Pledge of Allegiance as merely something to recite in class each day. Now, more than ever, listen to the meaning of his words. "Me, an individual, a committee of one." "Dedicate all of my worldly goods to give without self pity." "My love and my devotion." 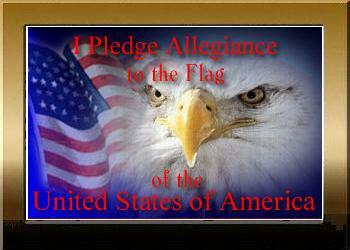 "Our standard, Old Glory, a symbol of freedom. Wherever she waves, there's respect because your loyalty has given her a dignity that shouts freedom is everybody's job!" "That means that we have all come together." "Individual communities that have united into forty-eight great states. Forty-eight individual communities with pride and dignity and purpose; all divided with imaginary boundaries, yet united to a common purpose, and that's love for country." "Republic. A state in which sovereign power is invested in representatives chosen by the people to govern. And government is the people and it's from the people to the leaders, not from the leaders to the people"
"One Nation, meaning 'so blessed by God'"
"Which is freedom -- the right of power to live one's own life without threats, fear or some sort of retaliation." "The principle or quality of dealing fairly with others." "For All. Which means, boys and girls, it's as much your country as it is mine." I pledge allegiance to the Flag of the United States of America, and to the Republic, for which it stands; one Nation under God, Indivisible, with Liberty and Justice for All. "Since I was a small boy, two states have been added to our Country and two words have been added to the pledge of Allegiance..."
"Wouldn't it be a pity if someone said that is a prayer and that would be eliminated from schools too?" As Red would say, "I personally believe we were put here to build and not to destroy. So, if by chance, you are not feeling well and you should remember some silly little thing I have said or done and it brings back a smile to your face or a chuckle to your heart – then my purpose as your clown has been fulfilled." "Good Night and may God Bless."